38% weakling, of pleasant taste approaching real complexity, but with no real assertiveness. Originating in the Dominican Republic (home of the Brugal, Bermudez and Barcelo brands), the Opthimus 18 artestinal rum is a solera rum, quite good, but too weak for me. It’s made, like the excellent Solera 25 whisky-finished version, by the firm of Oliver and Oliver, a company in existence since the mid 19th century and founded by the Cuban family of Juanillo Oliver, a Catalan/Mallorcan emigre. Abandoning Cuba in 1959, members of the family re-established the company in the early nineties in the DR after finding the supposed original recipe for their forebears’ rum. They also produce the Opthimus 15 (which may be the best of the lot simply because it is a shade younger and has therefore not been smoothened out so much as to eviscerate its more complex nature). The 18 I tasted was bottle 4 of 316 in the 2011 production run, and cost €65 for the 500ml bottle pictured above. The 18 twitches all too feebly. The nose, in spite of the rum’s relatively weak knees, did try its best to kick a bit, and evinced notes of cinnamon and breakfast spices, together with a faintly musty air, like biscuits and straw; a vegetal sort of nose, deepening gradually into caramel and burnt sugar notes. Quite gentle, all in all, with no heat or burn to turn one off, yet also lacking in a strong kind of aroma that would have made it score more highly.Want to know why I disdain underpfoof rums? Look no further, as this is a good example of the thinness and overall wussiness I don’t care for in rums (but full disclosure – my preferences run more to beefcakes greater than 40% these days, so your mileage may vary).. The palate offered no real redemption. What struck me as sad about it was simply that while it tasted pretty good, had a scintillating background complexity that strove to emerge and recall the potential of both the 25 and the 15, it was too scrawny on the body and too weak on the taste buds to really tug at the senses; and therefore it could not offer a strong, assertive profile that would have made me appreciate it more. Caramel, sweet brown sugar, bananas and softer, riper fleshy fruits, some nutmeg and cinnamon and lemon grass, quite faint. Finish was short, aromatic, but like a one night stand, gave too little and was gone too quickly, taking your hard earned money with it. 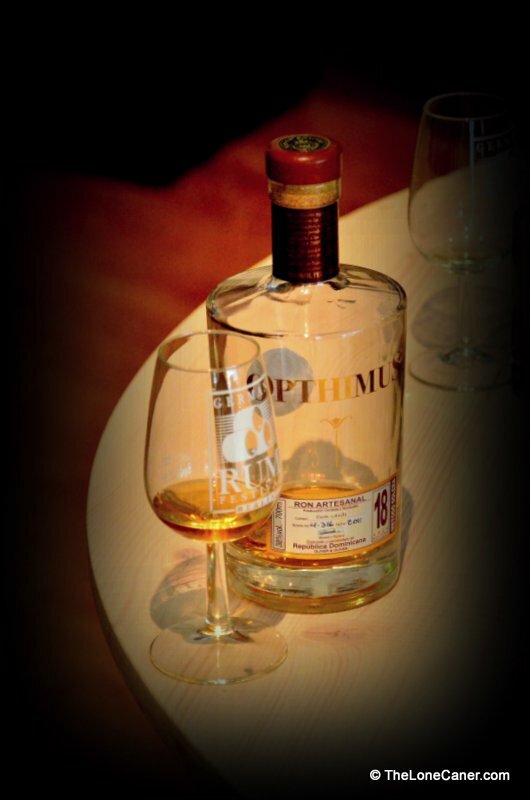 Opthimus 18 is aged by ex-Cuban master blenders via a solera process for eighteen years in total (so the oldest part of the blend will be that old, not the youngest). Oliver & Oliver uses rum stocks bought elsewhere, and ages them in oak barrels prior to final issue: they also have brands like Cubaney, Quohrum and Unhiq in the stable, though I have yet to try any of them, and they act as third part blenders to other companies as well. Given the plaudits they’ve received from other reviewers, all I can conclude that this is the runt of the litter, and somewhat of an aberration. Summing up, a rum like this leaves me with too little. Those of you who bemoan my verbosity and essays that never end will love this one, because beyond the bare bones tasting notes, and my personal opinion, there’s not much I can give you. 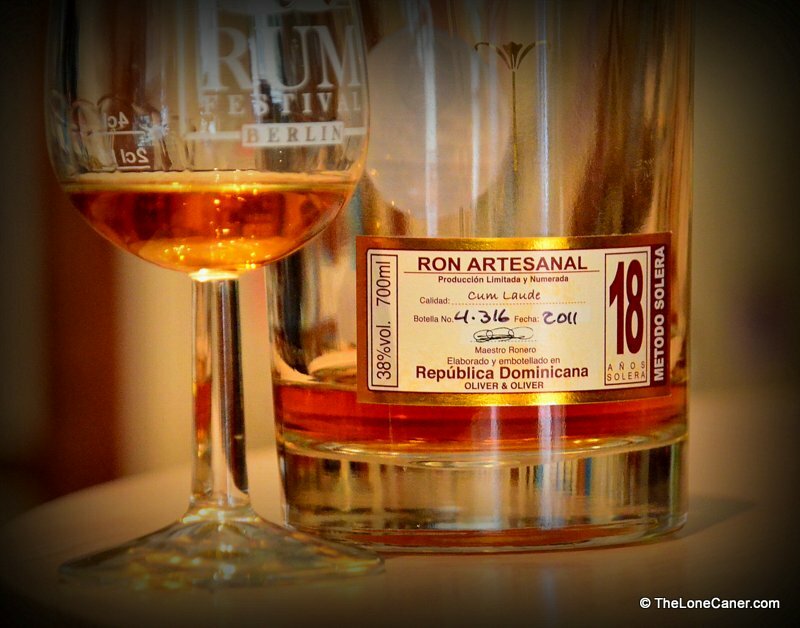 This solera rum shows all the evidence of being well made and well crafted, yet sinks itself at the end by not having the strength to go with its potential. In essence, then, this is an Opthimus that has yet to develop into a Prime. In this case, drinking it neat is recommended, it’s good enough for that. My relatively low score reflects a dissatisfaction with intensity and firmness of the tasting elements.